Welcome to another Expanded Universe column where I’ll be featuring essays from authors and editors of fiction, poetry, and non-fiction, as well as from established readers and reviewers, talking about anything SFF related that interests us. 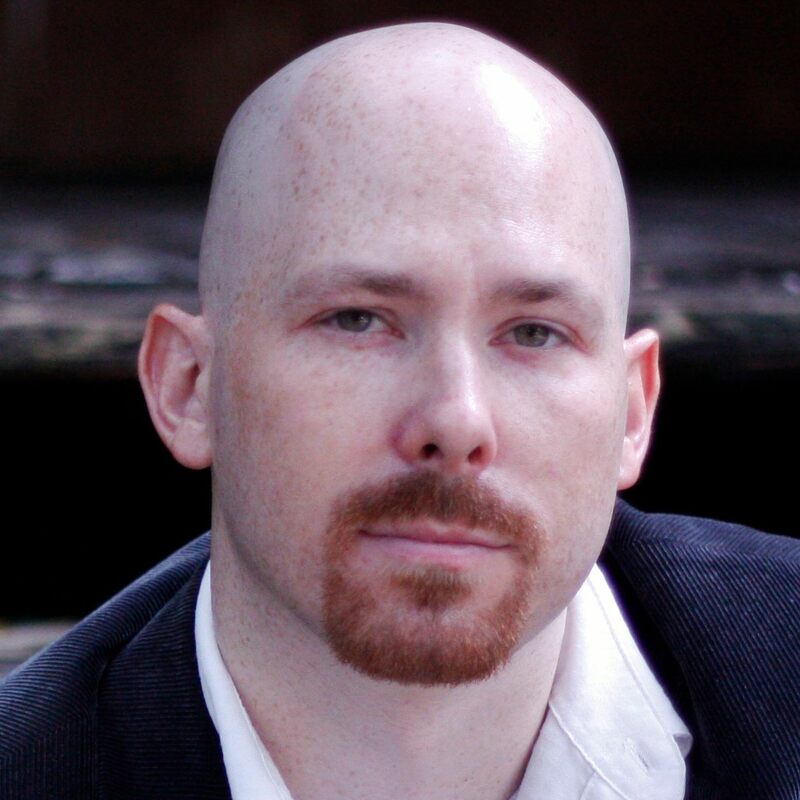 My guest today is Micah Dean Hicks, who is a Calvino Prize-winning author of fabulist fiction. 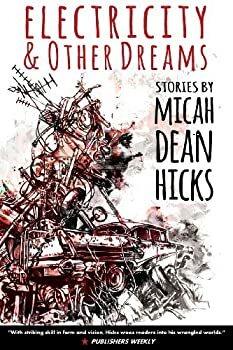 His collection of Southern fairy tales, Electricity and Other Dreams, was recently published by New American Press and received a starred review from Publishers Weekly. You can follow him on Twitter at @micahdeanhicks or at his website www.micahdeanhicks.com. The Sith. Unsullied. Fedaykin Death Commandos. Jedi. Dark Templar. Kyoshi Warriors. Red Wizards of Thay. Death Eaters. Dai Li. Mord-Sith. Faceless Men. Sardaukar. Predators. Aurors. War Boys. One of my favorite aspects of worldbuilding is the elite groups of warriors authors create for their worlds. I don’t mean groups like Marvel’s The Avengers or Saga’s The Revolution, elite individuals working together and no two of them alike. Elite groups are also different from the powerful beings an author might place in their world, things like dragons or panserbjørne. Elite groups are all too human. Like us, they begin weak and lost. A Sith is not born a monster, but is made one, and she is not a monster alone. 1) Reputation: In Frank Herbert’s DUNE novels, even rumors that Sardaukar soldiers are present can cause huge political shifts, change alliances, and start wars. Words like “Sith” are best whispered, if said at all. Even with groups like Avatar: The Last Airbender’s Dai Li, where no one knows much about them, that mystery becomes something to fear. When we see an image of people through the blurry heat vision of a Predator, we already know how bad this is. It doesn’t matter if this Predator is the worst of her kind; just being one means something. 2) Uniform: To capitalize on their reputations, these groups usually wear some kind of uniform, announcing what they are and what they can do. In Legend of the Seeker, a Mord-Sith’s red leather suit is a promise that she will be covered in your blood. A Kyoshi warrior’s costume makes her a living reminder of her hero, Avatar Kyoshi. Sith, Death Eaters, and Dark Templar all trail tattered cloaks, black hoods, ripped sleeves. Their dress tells us that these are hunted men. 3) Weapon: Recognizing one of the elite means knowing immediately how they can hurt you. There are few sounds as distinctive as the crackling hiss and thrum of a Jedi’s lightsaber. J.K. Rowling’s Death Eaters have their signature, forbidden Cruciatus Curse. Herbert’s Fedaykin use crysknives made from the tooth of a sandworm, near-mythical weapons that outsiders aren’t even allowed to see. The Mord-Sith have their pain-inducing Agiels. The Dai Li have their stony hands. The weapon is often more than a means to an end. It is a symbol, communicating power without the need for words or actions. 4) Philosophy: While it’s easy to get stuck on how these groups look and what they can do, the most interesting thing about them is the synergy between what they can do and what they believe. The Sith’s chaotic lightning is a reflection of their unrestrained hate. The Kyoshi Warriors’ flowing costumes, makeup, fan-weapons, and dance-like movements are an argument that women and the traditional trappings of femininity are not frivolous or weak; they are, in fact, as dangerous as anything traditionally masculine. These groups serve their philosophies unwaveringly. They are fanatics, making a religion out of conflict. In the DUNE series, Paul Atreides worries that his old friend Stilgar doesn’t really serve him but instead serves a fanatical idea of who he is. The Unsullied do not flinch from any pain, their service more important to them than their own lives. One of the things that makes these groups so captivating is how assured they are. They always have an answer. They aren’t plagued by doubt. They don’t question their faith. They believe, and the world of their belief is the only world they can see. These philosophies leave no room for dissent. A Jedi cannot shrug and tell her elders that she doesn’t think the dark side is quite as bad as everyone says. A Dai Li does not tell his fellows that he doesn’t think the queen is worth serving anymore. When a character questions the laws of his order, as Starcraft’s Tassadar does, that character is purged. Our culture tends to view its special forces the same way. We don’t just expect a Navy Seal to be an exemplar of killing. We expect them to only kill bad people for good reasons. We insist on grand narratives of what it means to be a soldier, as in American Sniper and Seal Team Six. When soldiers themselves push back against these heroic narratives—in books like Rory Fanning’s Worth Fighting For, Tim O’Brien’s The Things They Carried, and Jesse Goolsby’s I’d Walk with My Friends if I Could Find Them—people get angry and call their service into question. It’s almost as if we’re unwilling to accept power without powerful belief. We want strength to mean very particular things. Even though their beliefs are intense and questioning is forbidden, there are many examples of characters breaking with their philosophies. In Mad Max: Fury Road, this is what saves George Miller’s War Boy renegade Nux (though is Nux elite, or only mediocre?). Star Wars fans are captivated by Sith who were first Jedi. But even when a character does break with her group, she is often just trading one banner for another. Her beliefs change, but her devotion remains. Time and again, the mighty reject the gray world in favor of the black and white. Narratives around elite warrior groups give us something that we crave. In a world of confusion, ambiguity, and powerlessness, they present a fantasy of absolute strength and absolute conviction. Not only do these groups have the power to do exactly what’s needed, they know exactly what’s needed. Maybe that is what we envy most of all. Thanks, Micah! Readers, what are some of your favorite elite groups and why? Discuss in the comments. One commenter will win a book from our Stacks. One of my favorite “elite” groups–complete with special abilities, philosophies, uniforms, and separation from society–is the Grey Wardens, in the Dragon Age series of role-playing games from Bioware. Rather than reading about the group and what the consequences might be of joining them, you (as the player) experience all of it first-hand, which complicates and enriches the experience. Bioware’s various RPG series generally do a good job of exploring elite groups and their members, though. Star Wars: Knights of the Old Republic and Mass Effect both place the player in the shoes of a highly skilled, military-style avatar who must make increasingly difficult decisions as they are forced to conform to or rebel against the architecture of the system which created them. Fascinating stuff. I’ve got three – The Emerging Risks Directorate from Ramez Naam’s Nexus,Crux and Apex; Babylon 5’s Rangers; and the various high Zoku from Hannu Rajaniemi’s Quantum Thief ,The Fractal Prince and The Causal Angel . Why these three? The Emerging Risks Directorate (ERD) because despite being the opposition, and having become corrupt, started by fighting the good fight to protect people from those who would become transhuman in order to rule everyone else. Or abuse risky technologies for their own ends. The problem becomes when they use the technologies themselves, the institutional mindset sets in and they casually condone torture. The Rangers because they are the good guys, get some great gear (staves, White Star ships) and very good training. Plus, Marcus got done great lines. The Zoku because they apply the gamification of society and reputation economics to it’d logical ends. The more you serve your society and it’s ends, the more points you gain and higher you rise within it, and the more weight your decisions carry and resources you can gain. Which means Zoku masters and their agents are terrifying to deal with. TNT’s The Librarians! They don’t have a uniform, but they do have a philosophy, kinda, and they definitely have a reputation! Seriously, though, I’m glad to read this right now because I just finished UPROOTED by Naomi Novik, which explores the very danger of power wedded to unexamined narrative. We like belief systems, because power unmoored from a belief, or at least from rules, frightens us (and it should), but often the narrative about the elite is as dangerous as their power. AMERICAN SNIPER versus “the Things They Carried” is a great example. In UPROOTED, the Prince, who has an army at his command, has swallowed the “tale” of himself as a hero, and it leads to ruin. This was a great article about a subject that shows up everywhere in fantasy – and in real life – that I never really thought about before. I also never before considered the fact that elite groups can show up among the good guys, too. I mean, as cool as the Kyoshi warriors are, they’re also mysterious and intimidating and play by their own rules, just like the Sith or the Dai Li. I’m pretty sure The Wheel of Time exists solely to see how many of these elite groups Jordan could cram into one world. Even their elite groups have elite subgroups. Channelers can be broken into Aes Sedai, the Kin, Windfinders, Wise Ones. Even the Aes Sedai can be further broken into their Ajahs, who are each super-elite at a particular thing. The Aiel is an entire nation of elite, but they also have their clans and societies, like the Maidens of the Spear. Every country also gets their own elite company of soldiers: the Queen’s Guard, the Companions, the Defenders of the Stone, the Winged Guard, the Whitecloaks, the Band of the Red Hand (and its extra-elite Redarms). Not to mention elite groups like the Warders (and Gawyn’s Younglings) and the Forsaken and Asha’Man and probably way more if I stopped to think about it. I do wonder how much authors use this technique as a short cut. As long as you define the rules and codes for these groups, which is relatively straightforward because these groups are generally defined by those rules and codes, then any character you tag as a member of that group is already implied to share all of those characteristics of the group. Saves a lot of time on character development for your minor characters. Trey, if you live in the USA, you win a book of your choice from our stacks. Thanks Marion! I’ll be in touch.